Imagine the excitement of joining a growing company in the transportation and logistics industry! 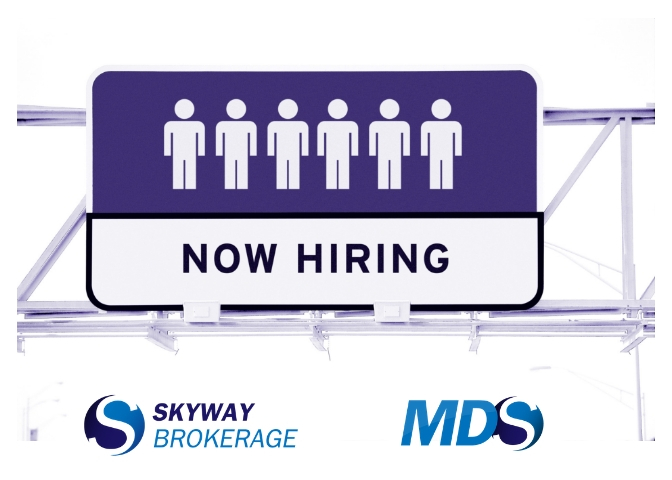 MDS Trucking and Skyway Brokerage is currently in need of a Full-Time Bookkeeper. We would like to fill this position before the end of 2018. This is a great opportunity for someone with 1 year’s experience to join the company, located on the west side of Addison, make a contribution and gain valuable knowledge about managing the finances of a company. We work very hard but maintain a relaxed office environment. Great Communication skills – you will be speaking with customers and vendors in handling your position. Starting Pay: $12.50 to $14.00 per hour depending on experience – definitely room for growth! Skyway Holding provides equal employment opportunities (EOE) to all candidates and employees without regard to race, color, religion, sexual orientation, national origin, age, disability, genetics or any other basis that is protected by federal, state or local laws.